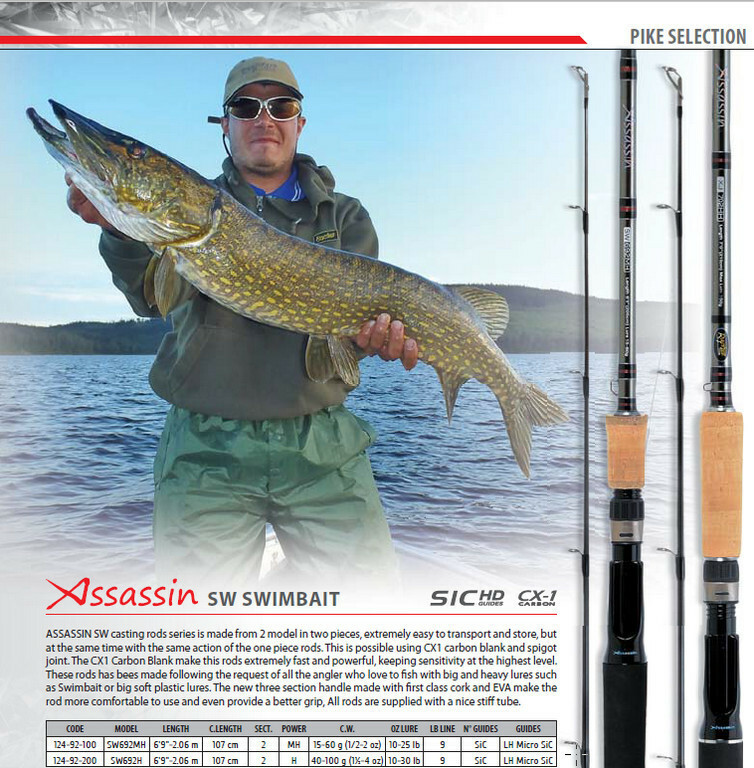 Assassin Swim Bait and Big Jerk Pike rods casts to 6 oz. joint. The CX1 Carbon Blank make this rods extremely fast and powerful, keeping sensitivity at the highest level. rod more comfortable to use and even provide a better grip, All rods are supplied with a nice stiff tube. can suit all type of predator fishing where heavy lures are required. performance, and is designed to cast easily even the biggest lures.